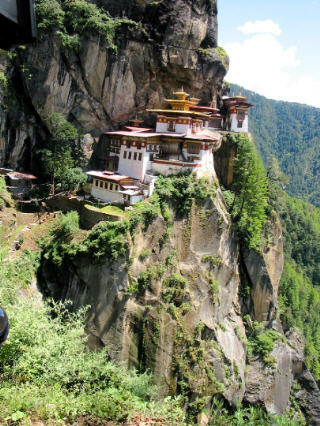 What’s not to love about Bhutan? The world’s sole surviving Buddhist kingdom, this isolated and gorgeous Himalayan shangri-la is home to a lovely gentle people, stunning scenery, and a rich trove of exotic wildlife including tigers, Himalayan black bears, snow leopards, red pandas, wild pigs, golden langurs– and in the central Phobjikha Valley, the rare Black-Necked Cranes, a species of beautiful but endangered birds that fly in from Tibet to winter in Bhutan. 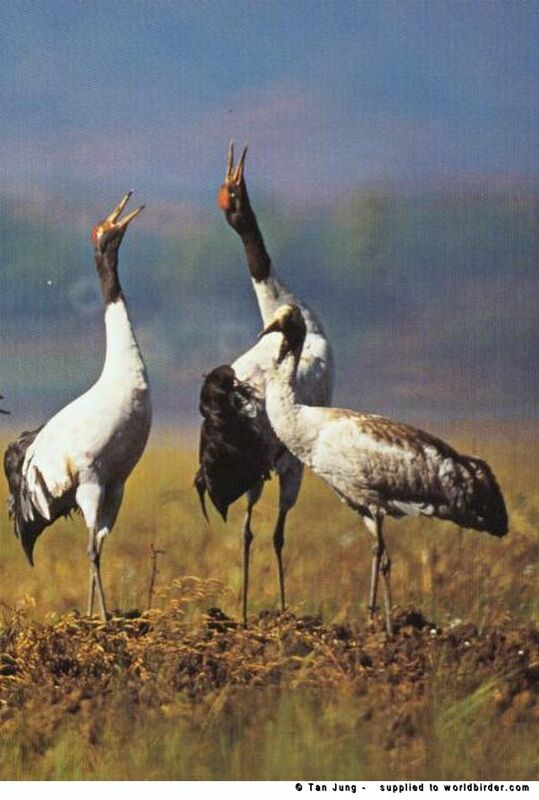 Only a mere 5,000 cranes remain alive today. Luckily, the King of Bhutan, His Majesty Jigme Singye Wangchuck, had a very different idea of development than, say, Donald Trump. For instance, instead of measuring progress by the Gross National Product, he created an index of Gross National Happiness in his country that measures key indexes like social relationships, environmental integrity, and cultural continuity, as well as the economy. So when the government sought to bring electricity to the dark valley of Phobjikha, it took all factors into account. Families in the valley were being forced to cut trees and brush for fuel, slowly destroying the habit of its beloved birds. The alternative kerosene lamps and candles were producing toxic fumes inside homes and eating up villagers’ incomes. Yet to string electric wires in the valley would mar the landscape and endanger the cranes. 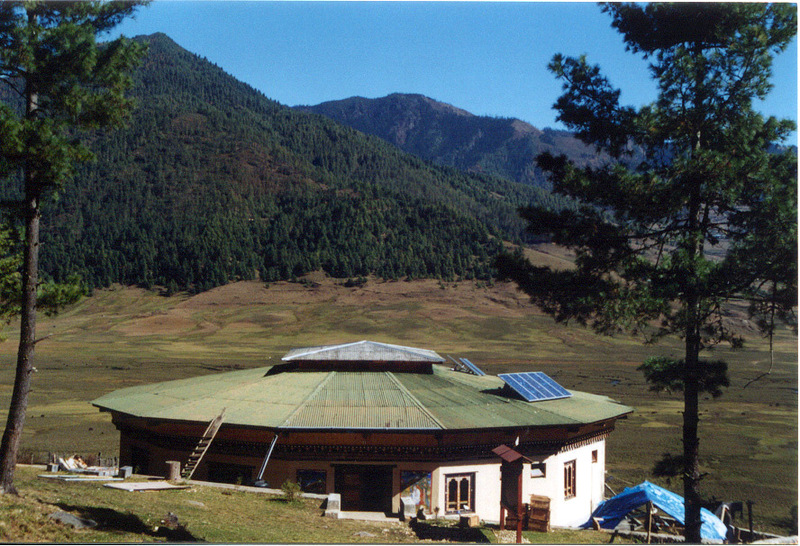 In search of a happy solution, Bhutan’s Royal Society for the Protection of Nature (RSPN) contacted Solar Electric Light Fund and asked for its help in bringing clean, affordable, reliable, environmentally-sensitive electricity to the valley. Women installers trained to maintain the precious panels. Voila! Working with RSPN, SELF provided the seed capital for 151 families to secure small loans to purchase their solar systems. With the assistance of microloans, the family’s monthly payments were nearly identical to what they had previously paid for kerosene, batteries and candles. 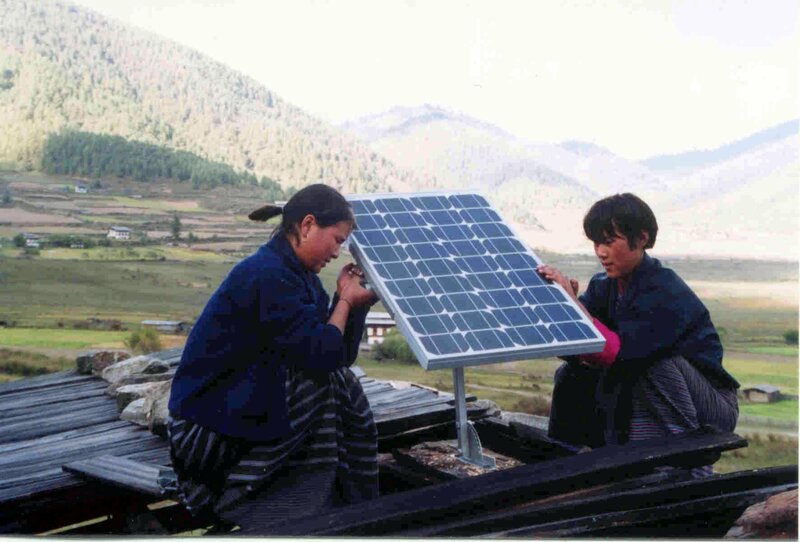 And most importantly, SELF and its local partners trained Phobjikha men and women in the installation and maintenance of the solar technology, thus ensuring the long-term viability of the systems, community support, and local jobs. SELF's mission: to light up the world. For 20 years, SELF has been taking on projects like this in the U.S., Asia, Africa and South America in a tireless effort to end energy poverty for 25% of the world’s population. From providing solar home systems to managing complex international efforts to use solar energy to power cellular communications, water pumping & purification, and business development, SELF is constantly pushing the envelope of what solar can do. 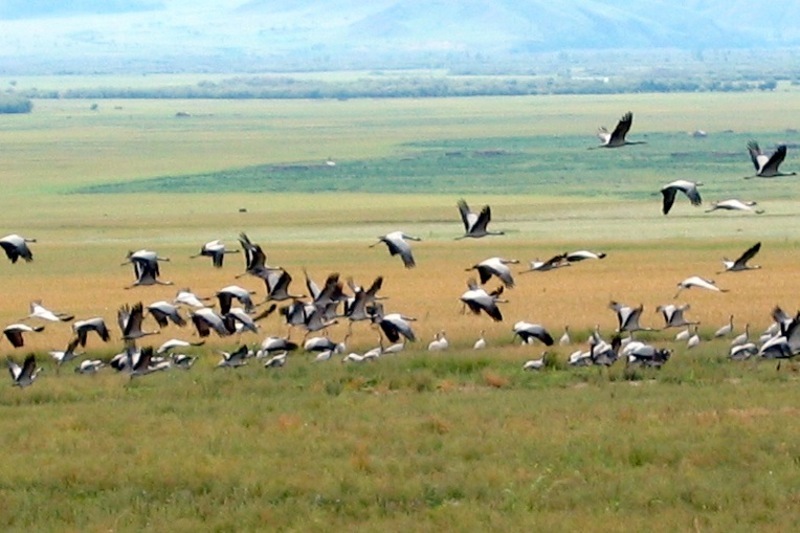 Today, the cranes are still flying back into Phobjikha every winter, circling the monastery three times, and dropping down into the valley. The health clinic has a solar lighting system that allows the people to receive emergency care and safely have their babies, day or night. What a happy ending! To watch a wonderful film about the Bhutan project, click here. And to contribute to other SELF projects around the world, click here.